How Long Does It Take To Get Into Ketosis? 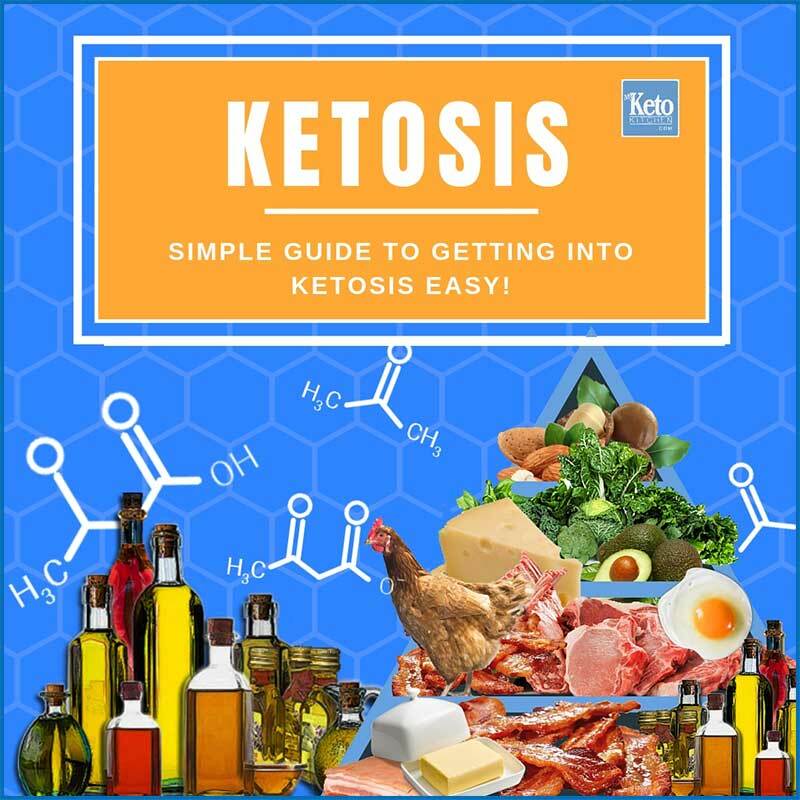 - "Easy Tips For Success"
Home » Keto Diet » How Long Does It Take To Get Into Ketosis? It takes between one and ten days to get into ketosis if you stick to your ketogenic diet. The time depends on prior nutrition, the body’s metabolism and other factors such as supplements and fasting. Its impossible to tell with pinpoint accuracy how long it will take to get into ketosis but we can get within the ballpark. Don’t fear below we have plenty of tips to make ketosis kick in quickly! Getting into ketosis is what makes the ketogenic diet, “keto” in the first place. Ketosis happens when you increase blood ketone levels through high fat and low carb eating. Ketosis supercharges your body to be in an optimal fat-burning zone but not only that. Being in ketosis gives you lasting, sustained energy, enhanced cognition, improved focus, and other neuroprotective benefits. As well as the coveted weight loss benefits of ketosis. Being on the Ketogenic Diet and having your body rely on fats as fuel through ketosis comes with cardiovascular benefits as well as weight loss. Research shows that ketosis lowers bad LDL cholesterol while increasing good HDL cholesterol. There are also studies into the ketogenic diet’s effects on Alzheimers Disease and Bipolar Disorder (among others) that have shown promising results. The Ketogenic Diet itself was used in the early 1900s to control epileptic seizures. It is still used today for those resistant to seizure medication. But we won’t dive deeply into all of that today. Ketosis helps turn your body from burning carbs as fuel to burning fat, which results in fat loss. Ketosis has cognitive benefits, improving mood, focus and general well being. Why Does Ketosis Take Some People Longer? The reason it takes some people longer to get into ketosis is that we all have unique metabolisms. Insulin resistance and previous diet dictate how we metabolize glucose, which is important for ketosis. Factors that differentiate us from one another has an impact on why ketosis takes longer in some than others. There are certain methods, through restriction and keto supplements that are proven to fasten up the process to ketosis. That is if you stick to the recommended macronutrients (use our keto calculator to find out your ideal macros). For some getting into ketosis may not take very long at all. I’ve experienced ketosis myself in as little as one day. However, that was after a day of bad eating for which my diet was ketogenic for a long time prior. (that sudden flooding of carbohydrates made me quite sick by the way, shaky and agitated. It’s times like that you realize the havoc a high carbohydrate diet plays on your system). For others, it may take a little longer to get into ketosis. As general rule ketosis will not happen as long as you’re consuming more than 30 gm of carbohydrate per day. (sure some individual may squeeze more in, but why?). If you’re worried about busting out read our article on preparing for the Ketogenic diet. Again some people will not get into ketosis, or it will take much longer unless their carbohydrate intake is much less than that. All of your carbohydrates should come from green leafy, cruciferous vegetables. Once you’ve achieved ketosis you can increase your protein slightly. But your protein should not exceed 25% of your daily calorie intake. Taking certain measures can enhance how quick you get into ketosis dramatically. Keep your carbohydrates under 20gram per day is the main tip on how to get into ketosis fast. The very core of ketosis is making your body produce blood ketones at a level that will fuel your body and brain. You will not achieve ketosis if your carbohydrate intake prevents your body from producing ketones. It’s important to know the difference between carbs, net carbs, sugar, and fiber. On a nutrition label Carbs (Total carbs) means fiber and sugar carbs combined. All carbohydrates should come from green, leafy, cruciferous vegetables. (Cauliflower, Broccoli, Cabbage, Brussel Sprouts, etc.).. While vegetables have virtually no fat, they have plenty of fiber and essential nutrients which helps digestion. The carbs that you’ll get from these vegetables will mostly be dietary fiber (net carbs are low) and should fit in nicely with your keto macros. Keep protein to 25% maximum of your Fat/Protein/Carb Macros. Protein is required for muscle retention, but too much protein is bad for ketosis. We have used low carb protein powders in fat bomb recipes, but most of the ingredients are from fats. We now prefer Collagen Protein with MCT’s for its ketone inducing properties. Collagen protein not only gives you energy it also supports healthy skin, ligaments, hair, and nails and is a good balance of amino acids. Ensure the good majority of your calorie intake comes from fat. Your body burning fat is how you get into ketosis. Once you’ve achieved ketosis, you can adjust your macros toward 70% fat. Making sure to avoid hydrolyzed trans fats. You can increase protein slightly for muscle sparing as you become more active. But your diet should consist of no more than 25% protein (30% for athletes and heavy trainers) if you want to stay in ketosis. It is essential that you get your fats from a variety of food sources when trying to get into ketosis. Get your fats from butter (from grass-fed cows is better), extra virgin coconut oil (non hydrolyzed), oily fish such as salmon and sardines, MCT oil (and MCT Powder ) and nut oils. The ideal high-temperature cooking oils for deep frying being lard and tallow. Coconut oil makes a great shallow frying oil. To get into ketosis fast, you’ll need to drop all milk and low-fat dairy. Replace milk in your coffee with a dash of heavy/full cream or drink it black. Instead, try MCT Powder as it makes an excellent crema and gives you a boost from the fast absorbed fatty acids. Milk has too many carbs and will prevent you from getting into ketosis fast. It’s a given that on a Keto diet you won’t get into ketosis if you’re eating sugar. Use natural sweeteners such as Stevia and Xylitol in place of sugar. There are also a few blended products on the market that make natural sweeteners more palatable. Blends such as Natvia and Swerve read about them in the link in the previous paragraph above. We find Xylitol to be the closest thing to sugar, just be aware that too much xylitol can give some people stomach upsets. Alternatively, Stevia has its place in cooking but has an aftertaste that is evident in tea or coffee. Exercise helps burn off glycogen and speeds up your metabolism getting you into ketosis faster. Glycogen is excess glucose (sugar) that your body stores in muscles and the liver. As long as you have this glycogen, you won’t be burning fat as fuel. If you start moving more than usual, your glycogen stores are burnt off quickly. After glycogen has been spent your body will turn to fat as fuel and get you into ketosis faster. Just start walking for those not used to exercise. Resistance training is excellent, but it can come later if you feel the urge. Just a slight change in activity will have a tremendous effect on burning off those last remnants of glucose. Intermittent fasting can make a significant difference in achieving ketosis fast due to quick depletion of glycogen forcing the body to turn fat into fuel and produce ketones. Before embarking on such diet restrictions such as intermittent fasting you must consult your doctor, especially if you suffer any ailments. Intermittent fasting helps your body turn to fat for fuel and get into ketosis at a rapid rate. Read our article on intermittent fasting and ketosis here. Exogenous is a term that means taking from an external source. Consuming exogenous ketones gives an almost instant boost in blood ketone levels. The exogenous ketones you’ll mostly be interested in for getting into ketosis are C8 MCT Oil and BHB Salts. 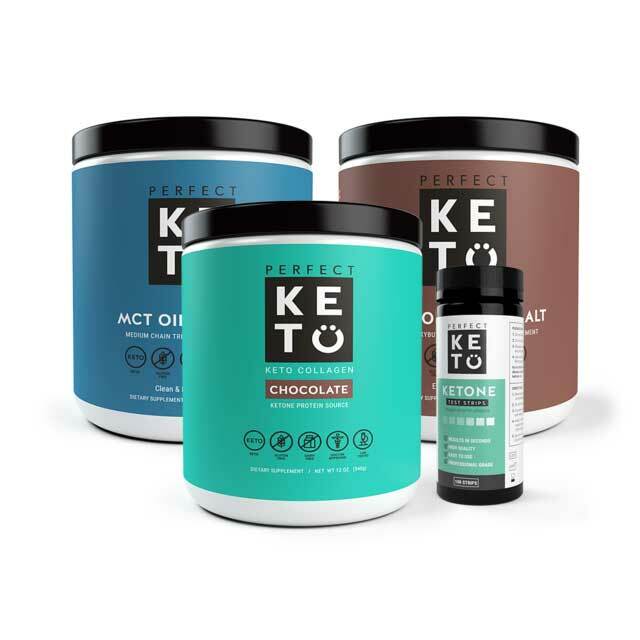 These keto supplements are readily available and will help you get into ketosis faster than any other. After taking BHB salts, you will notice an increase in energy and focus. Other than ketone esters, ketone salts are the only other direct way of taking ketones. (Oils are converted to ketones). Athletes and dieters use them with great success. Coconut oil consumed at 1-3 tablespoons, three times a day has been shown to bring about ketosis quicker than just a high-fat diet. This is due to the way medium chain triglycerides (MCT’s) are processed in our bodies. High-quality MCT oil is made from Coconut Oil. Coconut oil also has hunger blunting effects. Use only extra virgin, cold pressed coconut oil as it has a broader spectrum of fatty acids and other health benefits. Coconut oil contains lauric acid which is helpful fight infections, colds, flu, and other nasties. Coconut oil also has many uses in the kitchen as it has a high smoke point for frying. Not only does coconut oil help you get into ketosis fast it also has a tonne of uses as a beauty product for hair and skin. Use coconut oil for shallow frying as it does not oxidize readily. Keep coconut oil on hand for frying and fat bomb recipes and use MCT Oil for fast ketone production. Some products that help you get into ketosis faster. There is no doubt the lower your carbohydrate consumption, the sooner your body stops relying on glucose as fuel. When that happens, your body turns to fat as fuel through ketosis. Can Exercise Help You Get Into Ketosis? Your body will always use carbohydrates as a source of energy first when exercising and only turns to fat when carbs deplete. This is due to that fact that your body does not have to work as hard to burn carbohydrates. Exercise helps you deplete the glycogen in your body from the conversion of carbohydrates. Once your glycogen stores are depleted, your body will turn to fat for energy and begin the process of ketosis. Be careful your body can also convert protein to glucose for energy. This is why we eat a moderate (not too much) amount of protein for muscle sparing only. Too much protein will prevent ketosis! The best type of exercise for fat burning and achieving ketosis is slow and lengthy. A long brisk walk will serve you much better than a sprint! A Healthy Tip: Nobody is asking or wanting you to be sweating and puffing like a maniac. Don’t go running up sand dunes or piggybacking your husband to work. If you’re not accustomed to exercising just walk! Get a Fitbit to track your progress and start with small tasks, slowly increase as it becomes easier. This is very important. If you don’t usually exercise, start with baby steps. Just get moving, walk a little, then walk a little further or a little faster as you become accustomed to it. If you get into exercise this way you will learn to love it and it will stoke your metabolism nicely reducing the time to get into ketosis. On the other hand, if you get into exercising like a bull at a gate. As seen on some TV shows or by novice personal trainers. You will not only put yourself at serious health risks; you will learn to associate exercise with pain. You’ll know why you hated exercising in the first place. I have seen personal trainers with clients in their first session train them harder than athletes. Those clients never return, and they wonder why. Learn to love exercise one step at a time! It is as much psychological as it is physical. You can tell whether or not you are in ketosis by monitoring your blood ketones levels with a ketone meter. There are various devices that work in different ways. The best way of measuring ketone bodies in the blood is via a blood glucose and ketone meter. Commonly used by people with diabetes. These meters have the added benefit of storing and tracking your progress from day to day as well. 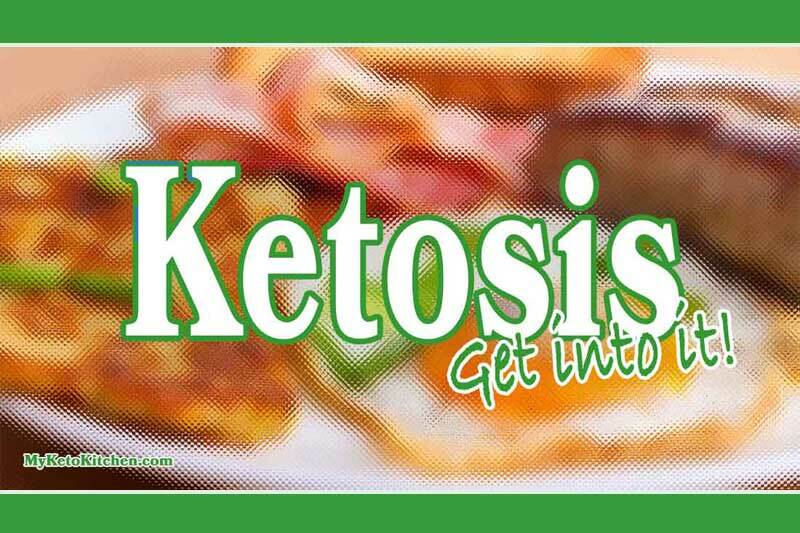 The most common method of how to know if you’re in ketosis is by way of Ketostix. Ketostix are thin strips of paper that have an indicator in them. The indicator changes color when entered into a person’s urine. Indicating ketone bodies which tell you when you’re in ketosis. One point I want to make about Ketostix is that a lot of people use them because they seem cheap (initially). People get very disappointed with them when they don’t indicate that they’re in ketosis (even when they are). A ketone meter is by far a better option and more recently the Keto Mojo Blood Ketone and Glucose Meter has been getting rave reviews. For your sake. If you’re doing everything right and Ketostix are only showing trace elements, just accept that you are in ketosis. Ketostix only detects one type of acid and a lot of other factors can affect how light ketone bodies become in urine. The amount of water that you should be drinking can have a great impact on them, so don’t get hung up on it. Keto Breath: You (or others) may notice a fruity acetone type smelling breath. Easily combated with; sugar-free mints, sugar-free gum, etc. if you’re someone that is concerned with artificial sweeteners. The best-tasting gum that we’ve found with no sugar and sweetened with natural Xylitol is Trident Sugar-Free Gum and it won’t throw you out of ketosis. Ps Xylitol has also been used successfully in treating and preventing middle ear infection. Just go easy as it does upset some peoples stomachs in large amounts. Treat Keto Breath as a good sign as the smell is easily dealt with. Frequent urination as your body expels the excess fluid that it was hanging onto due to the number of carbohydrates that you previously consumed. Possible fatigue or what is known as keto flu which can be tackled by consuming more electrolytes, for which you can get from high mineral containing bone broths. And the most exciting part. A rapid drop in weight! Just be aware that the fast weight loss you notice in the first few weeks of ketosis is mostly fluid. Fat loss will be steady yet still very noticeable. When you get to 3 or 4 weeks, your actual weight (if you insist on using scales) may not be as significant as compared to someone who starves themselves on a calorie restricted diet. The reason your weight loss may seem to have stalled in ketosis is that you are retaining lean muscle mass. This is due to keeping up your high fat and moderate protein intake. Fat loss is now your main concern, not weight loss. Those on a calorie restricted diet, due to limiting everything have no such nutrients to maintain valuable muscle, they lose weight everywhere not just fat. This is why you see people who partake in such harmful nutrient restricting diets become weak, gaunt and unhealthy looking. While those that stay healthy, through ketosis, are lean and muscular. It is also why I highly recommend that you ditch the scales for measurements with much cheaper measuring tapes and weekly progress photos. Muscle is heavy people, the kind of heavy you want. For the Ladies: You shouldn’t fear turning masculine, you’ll simply be retaining the lean mass you have. It will give you shape as the fat melts rather than the deflated look many achieve on extreme calorie restricted diets. This won’t pack on massive forearms or biceps. Though being in ketosis can be worked into a bodybuilding routine. For which you’ll tweak protein and calorie intake “if you choose”. But only once you’ve removed the excess fat from your frame. There are few products that can raise ketone levels fast and measure whether you’re in ketosis or not. We recommend that you use only products that have no fillers or nasty additives. BHB Salts – Will get your ketone levels high fast. MCT Powder – Also boosts ketone levels rapidly and makes an excellent Crema for Coffee (supercharging your coffee). Ketone Meter – Know your blood ketone levels in real time! We are big fans of monitoring and tracking. MCT Oil – Works faster than MCT powder but not as convenient, keep it in the fridge and start with a tablespoon when in need of some energy. Or, when your ketone monitor says you’re low on ketones. On the metabolism of Exogenous Ketones in Humans – Oxford University. Effects of exogenous ketone supplementation on blood ketone, glucose, triglyceride and lipoprotein levels on Sprague- Dawley rats. The use of nutritional supplements to induce ketosis and reduce symptoms associated with keto-induction: a narrative review. Note: Always consult a medical professional (in person) before embarking on drastic dietary changes or trying to achieve ketosis. The Ketogenic Diet isn’t hard and getting into ketosis won’t take long when you learn to read nutrition labels. Follow the keto food pyramid, calculate your macros and you certainly won’t starve. How long does it take to get into ketosis? That’s up to you mostly! I had a question regarding a ketogenic diet for someone who bodybuilds 4 times a week. I do not want to lose muscle but still gain muscle in the process. What should my macro percentages be on the ketogenic diet? thanks! Is it possible to urinate so much that you do not achieve Ketosis, or the Ketostix do not register? I drink over a gallon of water daily, and do not get much exercise at all. My Ketostix register “negative and trace”. I used to drink sweet tea all day, now I’ve switched to MIO water enhancers. I really enjoy them and drink those all day. Ketostix can be very unreliable with their readings and there are many more factors involved with testing. – Drinking lots of water can dilute your urine, but it won’t stop you from achieving ketosis. – Your body could be using ketones so efficiently that there are only trace ketones are passed into your urine. – You could be fat-adapted. In some people, after becoming fat-adapted, ketones are only present in the blood. – You might be eating too many carbs for your body and not be in ketosis. We’re not doctors, so it is best to contact your health professional for accurate information. I’ve been lead to believe that once you become fat adapted that your body uses fat for energy as opposed to glucose, ie, losing weight. This is my 2nd attempt at Ketosis! Both times I lose weight for the first couple of weeks, then start putting it back on! This time lost 7 pounds in 2 weeks, now 3rd week (no cheating) regaining 4! I just don’t understand! I know your not Dr.’s but I do appreciate the input, as I’m struggling to understand this… again thank you! Why stay away from protein powders that are low in carbs? I mix with a cup of no add sweetner coconut milk. Not good? We recommend getting all your protein from your meals. Too much protein can kick a person out of ketosis, so we don’t recommend using protein powders initially to get into ketosis.